The base-building combat game now allows players to move their base to new planets, as well as compete in planetary events. Disney Interactive and Lucasfilm has announced the release of a major content expansion in Star Wars: Commander on iOS and Android devices. The expansion is called ‘Worlds in Conflict,’ and it sees players introduced to the new Galactic Map and the ability to relocate their base to another world in the Star Wars universe. Players at HQ Level 5 or above now have access to a new Planetary Command building, which unlocks the ability to choose from four new worlds for their base: Yavin 4, Hoth, Er’Kit and Dandoran. Gamers can unlock these planets in the order they choose, and will earn the ability to unlock every planet as they upgrade this Planetary Command building. Moving between planets has a ‘cost’ related to the number of stars players have earned in player-vs-player battles on their current planet. When players have earned enough stars, they can move between planets for free, with no limit to the number of times they can move, or to which planets. For example, a player can begin on Tatooine, move to Hoth, and then move back to Tatooine after earning more stars. It’s worth noting, players will only be able to compete in battles against those on their same planet. The Plantary Command building also gives players access to the overall Galactic Map, which provides information on each planet, its current or upcoming events and conflicts, as well as information on the friends or squad mates players might have on those worlds. With the introduction of these new worlds, players will be able to compete in new planetary conflicts, which are player-vs-player tournament-style events, which rotate between each world. Victory bonuses will be given to the faction (Empire or Rebels) that wins each conflict. This includes bonus currency rewards from future battles for a few days after this conflict victory. Finally, the game’s leaderboards have received a major update. Formerly, players could only see the top 50 players on Tatooine, but now, gamers will be able to view their own ranking as well. This update includes separate leaderboards for each planet, as well as separate leaderboards for each planetary conflict. 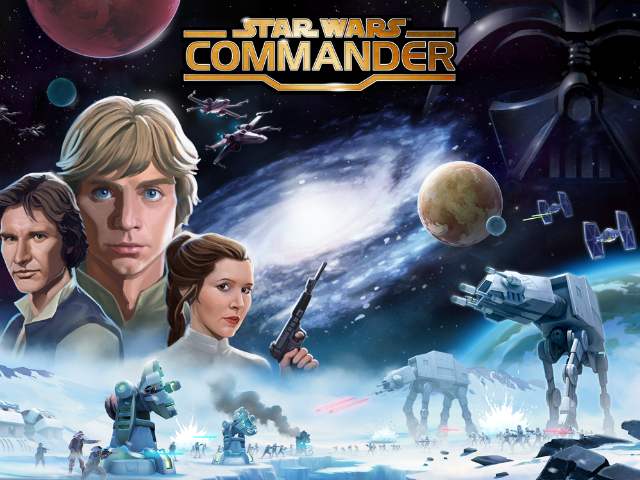 Star Wars: Commander is available to download for free on the iTunes App Store and Google Play.